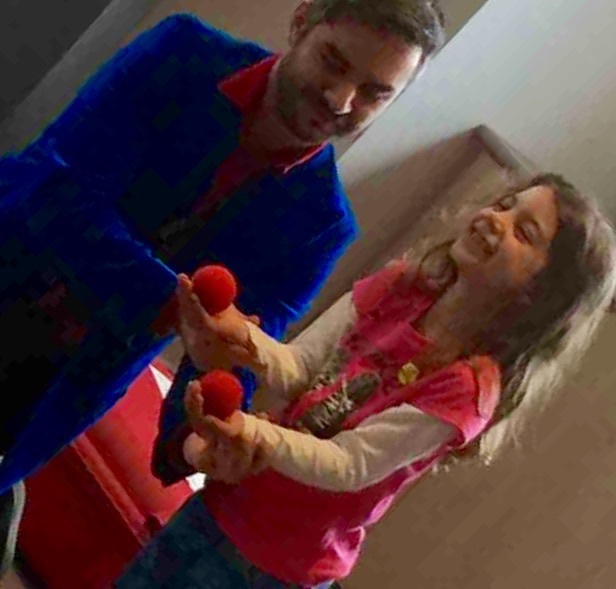 On the day Benny rocked up to our venue (All Souls Church, Sandringham, Melbourne) with his red suitcase, unicycle, hula hoops and mystery bags, you could hear the 'oohs and ahhhs' of the 30 young children wondering what magic he had in store for them. Soon the children had his undivided attention and the church hall became filled with giggles and laughs, from not only the children, but some of the dads sitting at the side of the show. 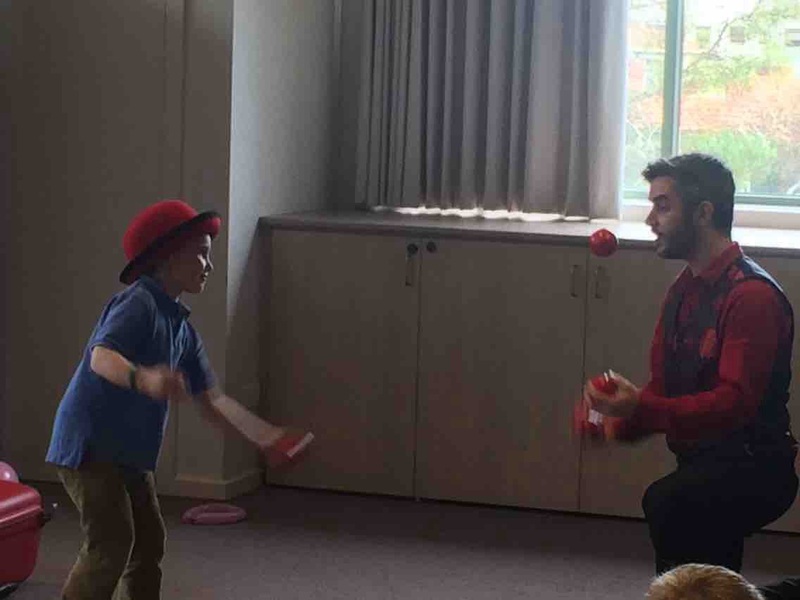 Something about Benny's slapstick, informal, engaging act kept the children involved and engaged throughout. After the 30 minute magic show, the kids all then had a chance to try out their own circus / magic skills with scarf juggling, hula hooping, ball juggling, bowler hat flipping and even plate spinning. The kids loved the show and worked up a healthy appetite which meant that they were ready to sit and eat at the party table as we approached time for Benny to leave us. We took a moment to get a great group pic of the birthday group and then said our goodbyes to Benny, but we have a sneaky feeling that won't be the last we see of our birthday performer Benny Blitz at future Bayside Birthday parties! Loving the magic with Benny Blitz !